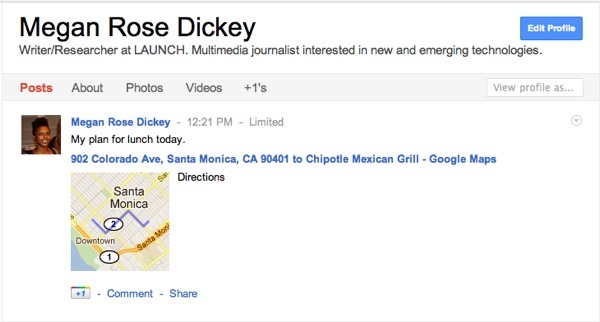 Google launched +snippets for Google Maps so users can easily share directions, places and search results on Google+. Google first launched +snippets in August. Other Google products with +snippets capabilities include Books, Offers and Product Search [ see screen shots below ]. Google plans to roll out the feature to additional Google products in the future. In order to use +snippets, users must first be signed in to Google+. Clicking "Share" from the G+ toolbar at the top of screen will take a snippet of what the user sees on Google Maps and add it below the general text box. Users can add comments to the +snippet or post as-is.